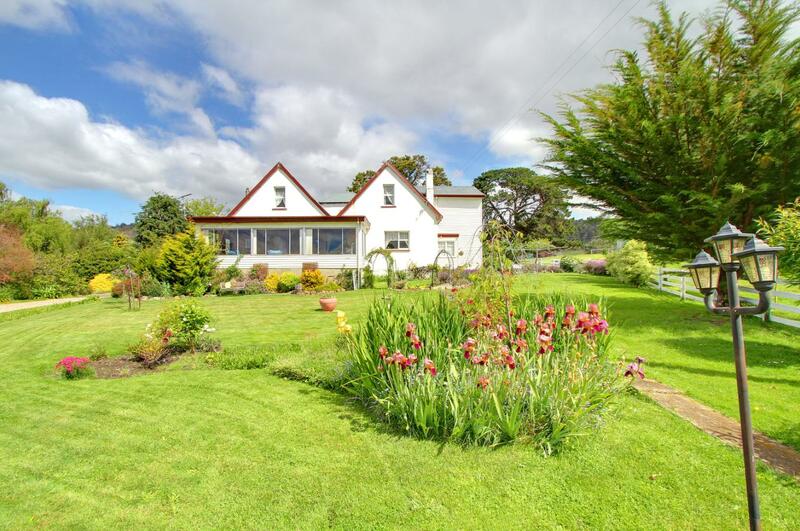 Roslyn House situated at Bushy Park, TASMANIA offers warm and comfortable ACCOMMODATION in peaceful and picturesque surroundings.It is situated in the heart of the Derwent Valley, Tasmania. 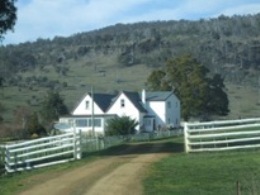 Bushy Park is nestled among Tasmania's oldest hop growing fields. 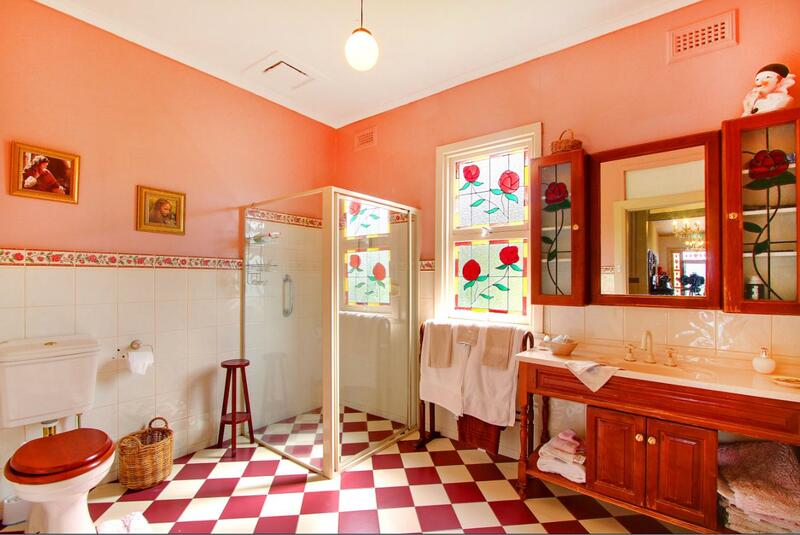 Roslyn is an old fashioned Bed and Breakfast style accommodation, with resident hosts to pamper and to spoil you. It is situated just 20 minutes from New Norfolk one of Tasmania's oldest historic towns, where you can browse among the many antique and curio shops, take a stroll along the esplanade of the beautiful Derwent River or an exhilerating ride on the jet boat to the rapids at Plenty. Or visit the Oast House historic hop museum, or the Salmon Ponds. In the opposite direction it is only 20 minutes to Mount Field National Park and the beautiful Russell Falls. You could visit the Wildlife Sancuary or watch the sunset over the Florentine Valley after viewing the tall trees of the Styx Valley. Take in the spectacular views of Lake Pedder and the Scott's Peak dam. So ACCOMMODATION at Roslyn is a great starting off point to visit these beautiful parts of Tasmania. Finish the day relaxing in front of a cosy log fire before retiring to a warm and comfortable bed. Our Queen Room offers a comfortable bed with quality linen and electric blankets. 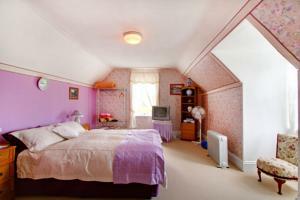 It is tastefully furnished with a mixture of country and antique furniture. Large towels, bathrobes and toiletries are supplied. 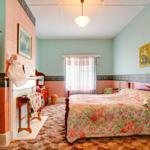 Both our royal queen and our cupid rooms are downstairs and each have their own separate bathroom. There is a guests dining/sitting room with a cosy log fire. Tea and coffee facilities are provided as is a TV/DVD with a selection of DVDs. A BBQ is also available for use and romantic, candlelight dinners can be provided for a small extra charge. The tariff includes a fully cooked country breakfast. Our Queen Room offers a comfortable bed with quality linen and electric blankets. It is tastefully furnished with a mixture of country and antique furniture. Large towels, bathrobes and toiletries are supplied. 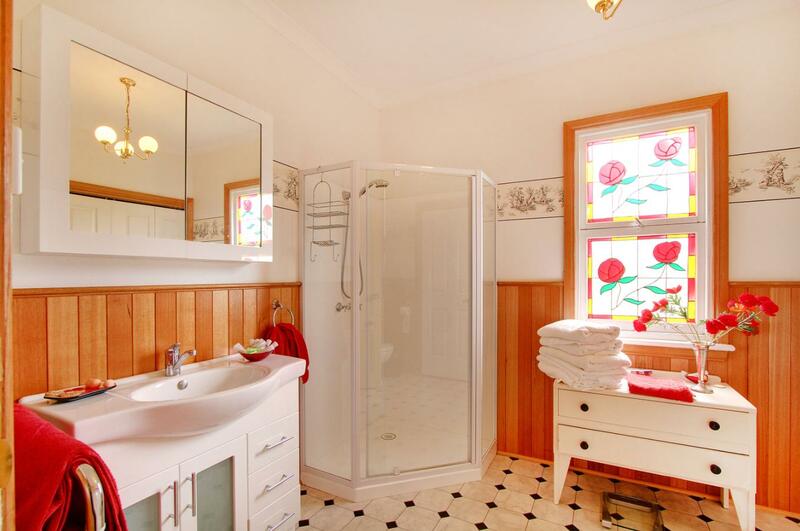 this room is upstairs and has shared bathroom. 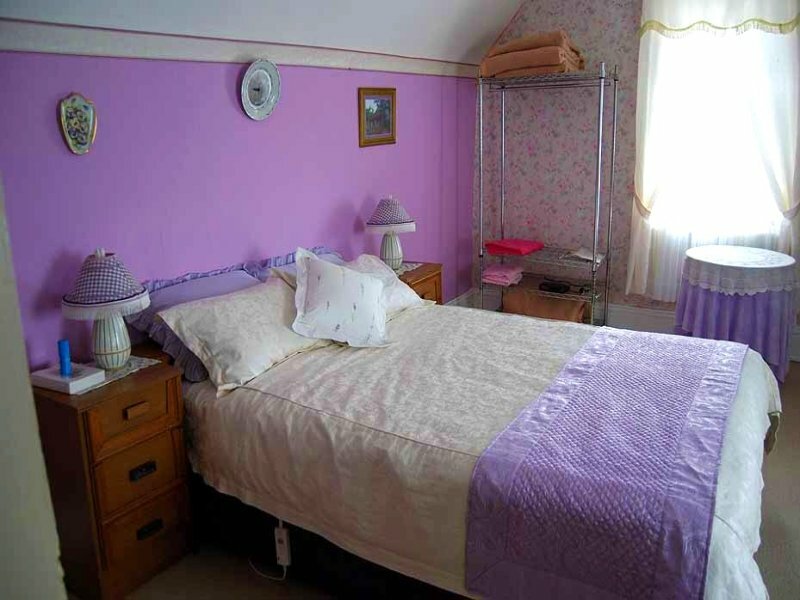 This room has a cot available There is a guests dining/sitting room with a cosy log fire. Tea and coffee facilities are provided as is a TV/DVD with a selection of DVDs. A BBQ is also available for use and dinner can be provided for a small extra charge. The tariff includes a fully cooked country breakfast. 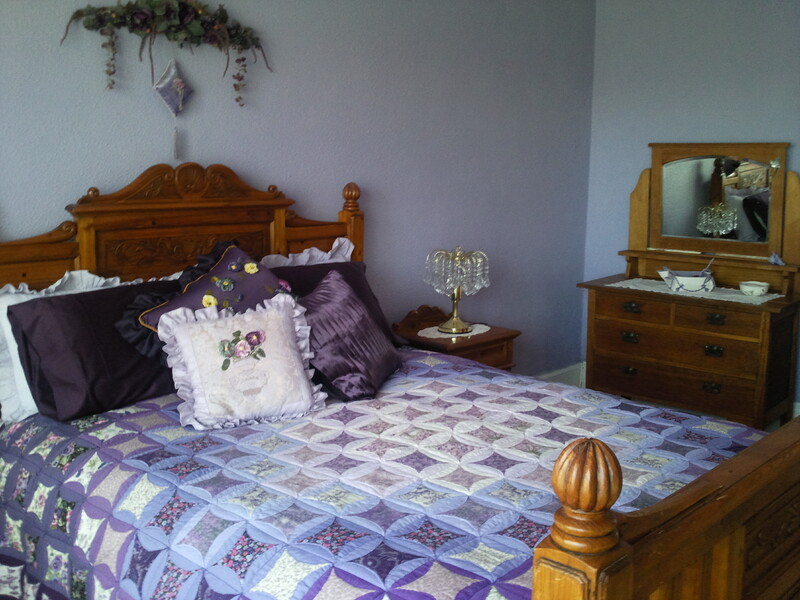 Our cupid room offers a very comfortable queen bed with quality linen and electric blankets. 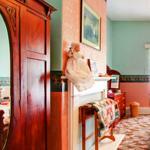 It is tastefully furnished with a mixture of country and antique furniture. Large towels, bathrobes and toiletries are supplied. Both our royal queen and cupid rooms are downstairs and have their own separate bathrooms There is a guests dining/sitting room with a cosy log fire. Tea and coffee facilities are provided as is a TV/DVD with a selection of DVDs. A BBQ is also available for use and romantic, candlelight dinners can be provided for a small extra charge. The tariff includes a fully cooked country breakfast.